The latest fad in the bakery world is the cronut. 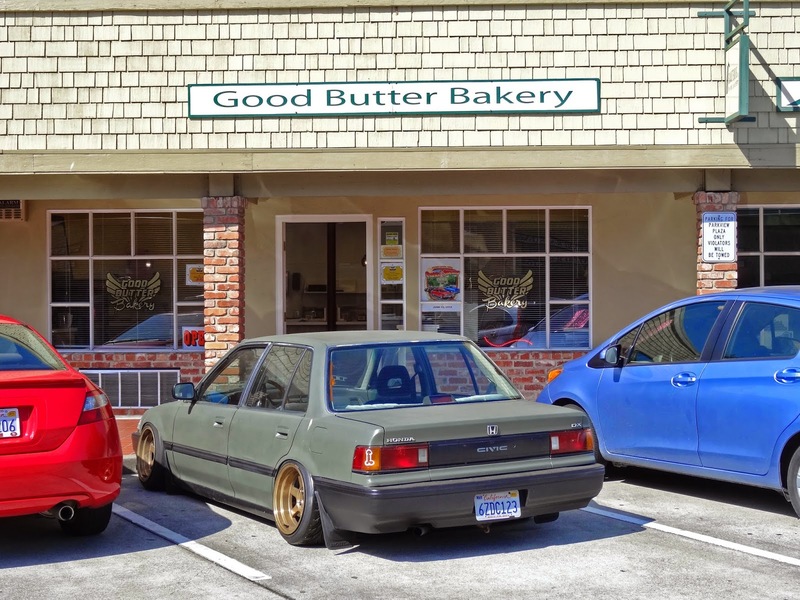 It is a cross between a doughnut and a croissant We have a local bakery, The 'Good Butter' who has just celebrated their 'Grand Opening' several weeks ago. Now, I do not need an excuse to satisfy my sweet tooth but when you dangle that carrot of bacon, look out, because here I come. 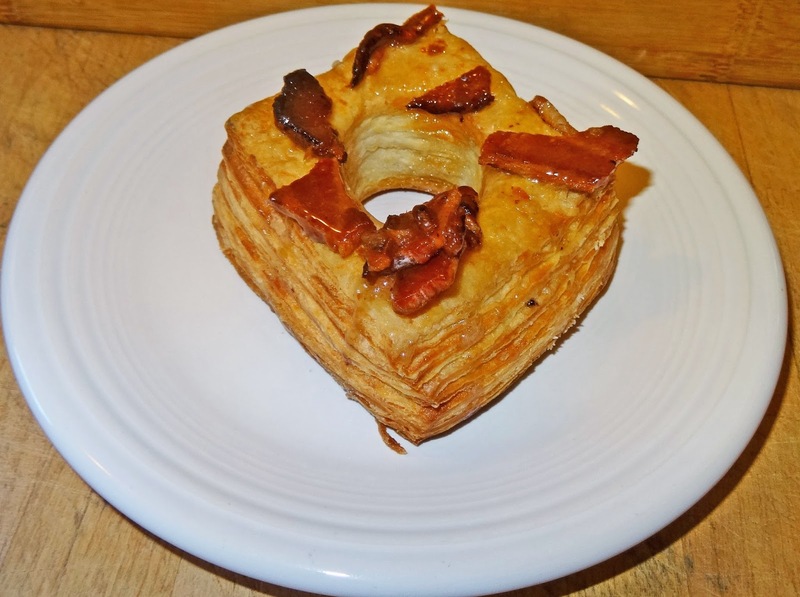 The bacon maple cronut was listed on the menu on the 'Good Butter' website. When we visited they were sold out. I was disappointed temporarily because they have plenty of other treats to sample. 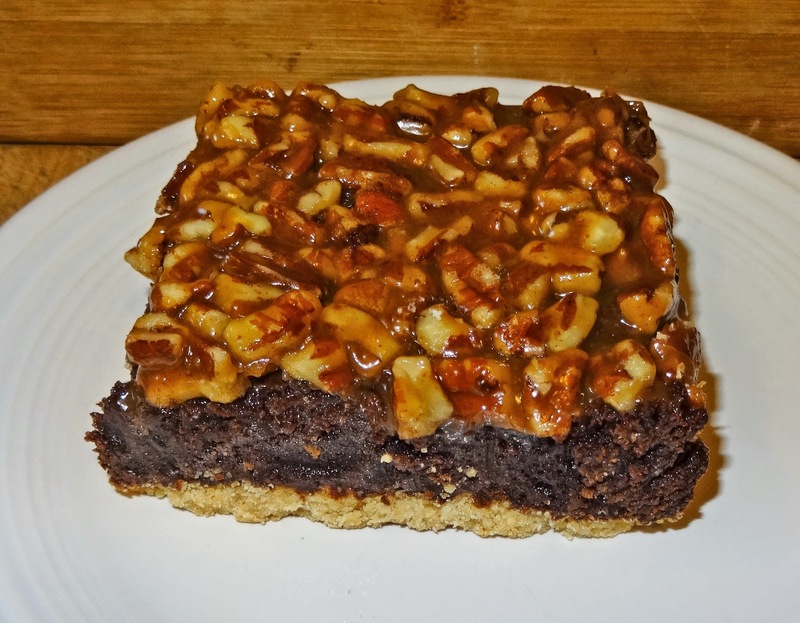 We sampled this sweet pastry bar that had a shortbread crust, chocolate fudge middle layer and was topped with sweet pecan toffee like spread. This was fantastic. The good people at 'Good Butter' promised to message me and set aside a bacon, maple cronut for this Mad Meat Genius the next time they were made. I received the announcement and borrowed the 'Racing Honda' to make haste to my sweet destination. The cronut was brought home and sampled. I personaly do not see what the hub-bub is all about. It was decent enough. Of course I love bacon but the combination of doughnut and croissant is just an abomination of nature. Leave the bacon for deodorant, floss, toothpaste, soda, peanut brittle, and etc Have a doughnut or a croissant separately.. I will stick to the other treats in the future. I haven't tried cronuts, yet. Guess I'm behind the times. Zoomie, I would never, ever, ever say you were behind the times. It is worth the trip to Pinole. We also have a brand new coffee shop that just opened down and across the street.It is nice to have a local bakery and coffee shop to visit. I read people in LA stood in line for an hour to eat cronuts. I hate lines. Although I suspect the kids that wait in line are also trolling to get laid. Just saying. Greg, That is a unique perspective that did not cross my mind. Wow! I have not subscribed to the Cronut phrase. Mostly because the local eateries have not made them yet. But, I have seen Harry Soo's bacon wrapped doughnuts. I think that is worth a try! Three Dogs BBQ, Cronuts are overrated to me. I have not met a maple bar that has ever let me down. Harry will be judging with us in several weeks. Maybe he will bring some.